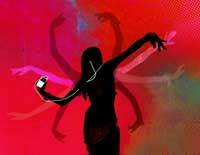 Apple in May 2006 launched ‘Seventy’, featuring Wolfmother‘s Love Train, another 30 second TV ad in the psychedelic iPod/iTunes commercial campaign. 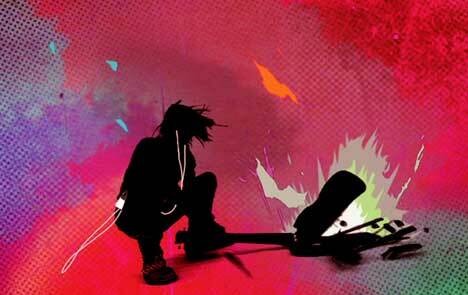 The iPod campaign was developed at TBWA/Chiat/Day, Los Angeles, by creatives Lee Clow, Duncan Milner, Eric Grunbaum, Demian Olivera, Krista Wicklund, with agency producers Mike Refuerz, Serena Auroux, Sofia Akinyele and Cheryl Childers. Seventy was directed by Mark Romanek with producers Scott Kaplan and Dave Morrison at Anonymous Content, Los Angeles and Logan, with director of photography Jim Fealy. Editing was done by Jim Rodney, Maya Hawke, Glenn Martin and Joaquin Machado at Nomad Editing, Santa Monica. Wolfmother is heavy metal rock band from Sydney, Australia, inspired by bands such as Led Zeppelin, Black Sabbath and Deep Purple. The three members of the band are Andrew Stockdale (vocals/guitar), Chris Ross (bass/keyboards) and Myles Heskett (drums). See Wolfmother’s MySpace site. 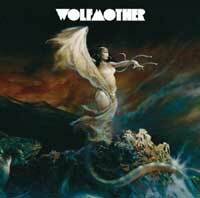 Wolfmother’s first EP was released in Australia in September 2004. They moved to Los Angeles in 2005 and released their debut album, Wolfmother, in October 2005 in Australia, following it up with a release in the United States in May 2006.